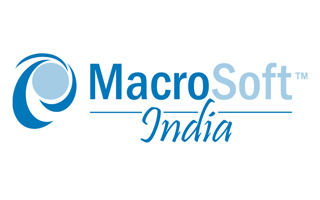 Macrosoft IT Solutions India Pvt. Ltd, which provides technology and development support for Macrosoft Inc., USA (www.macrosoftinc.com) is a state-of-the-art information technology company based at Technopark, Trivandrum. Macrosoft India, has been a true business partner for over a decade to many Fortune 500 companies as a leading provider of consulting services in software development and system integration. Macrosoft India understands that business is built on the capability to provide its clients with high quality software services and solutions- from concept to post implementation. The company operates with the vision of rendering superior, yet cost effective IT solutions to its diverse clientele worldwide, taking utmost care in meeting their requirements leveraging the abundant technical resources all over India. Best in class facility at the largest IT Park in India dedicated to Software Development and Support. We exceed the requirements and expectations of our clients by offering solutions that lead them to success in their ventures. We define service broadly- from initial contact with a prospect to product quality, to anticipating client need and preferences, to overall client satisfaction. We are committed to investing in state-of-the-art technologies to develop, deliver and support our products and services, thereby advancing towards our World Class Service vision. We view our efforts on World Class Service as a journey that has no end, but only milestones. We understand the need to respond quickly to the ever increasing needs of our valued clients, in an industry where changes are happening at lightning speed. We meet this challenge with well-prepared teams, who constantly adapt to the changes by way of continued learning. We strive to lead in a technology driven industry and give our clients only the best at a better pace and better price. Thinking of an Offshore Partner? Macrosoft India is the perfect partner for your technology needs. You are assured the best quality work at the lowest possible cost within the promised time. As we leverage the international teams for our analysis, development and testing processes, we could extend the cost effectiveness we have to our clients. We not only have the abundance of experienced hands in latest as well as legacy Technology, but also a talented, professionally qualified young resource pool to cater to our client needs. Being a fully owned by Macrosoft Inc., Every project in Macrosoft India is directly monitored by our senior management and are involved in all milestones. Providing our clients with productive and innovative business IT solutions through engagement of people and methods that are sharply focused on results, quality and timely and effective implementation. Establishing strong long-term working relationships in which we focus intensely on a client’s needs, investing our own time and energy in gaining a full understanding of our client’s systems, data, and business processes. Providing highly qualified and professional development teams that can span the entire development lifecycle, from business process engineering and system architecture design through final system hosting and maintenance. Maintaining a leading edge in software technology that allows us to design new systems efficiently and rapidly, and to successfully integrate these new system capabilities within complex business and IT environments. Strongly fostering internal development of re-usable components, systems and technologies critical to our clients’ needs in the application areas of marketing databases; e-marketing; and web-based variable print, thereby allowing us to offer our clients rapid solutions that conform to best business practices. Macrosoft is well-positioned to develop and establish working relationships with new client organizations and we look forward to opportunities with new companies to prove ourselves as a dedicated and creative IT partner. Macrosoft IT Solutions India Pvt. Ltd.